If you were in Florida near Cape Canaveral Air force Station at 22.41 yesterday the world shook as another $100 million satellite left to go in orbit for the Luxembourg telecommunications company SES. The delivery company was SpaceX previous satellites have been launched by European Ariane rockets and Russian Protons. The SES-8 satellite was efficiently in position 14 minutes later a SpaceX spokesman confirmed, and was their first launch to geostationary transfer orbit 50,000 miles from earth and most challenging mission to date the company said on Twitter later. The satellite is due to provide television, cable TV and other services including China, India and Vietnam. 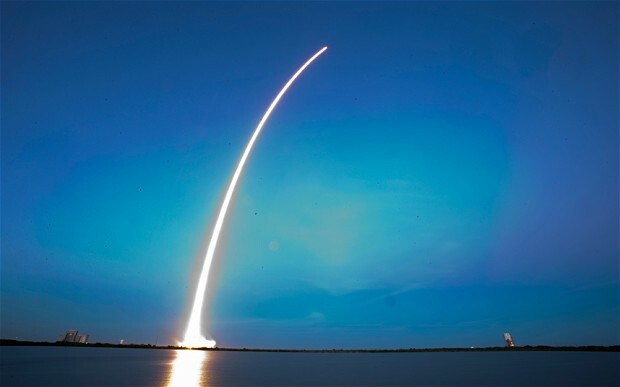 SpaceX is owned by Internet entrepreneur Elon Musk and is eager to get in the commercial satellite launch business estimated to be worth a whopping $190 billion a year. iCS Communications use both SES and Tooway Satellite to deliver our customers with Internet Connections, you can hire for a week to a year or purchase. This option allows us to provide good internet connection in more challenging locations, like at my home a mile from the M3 and less than 3 from the M25 to find out more call Martyn on 01276 539999 and get an out of this world connection.